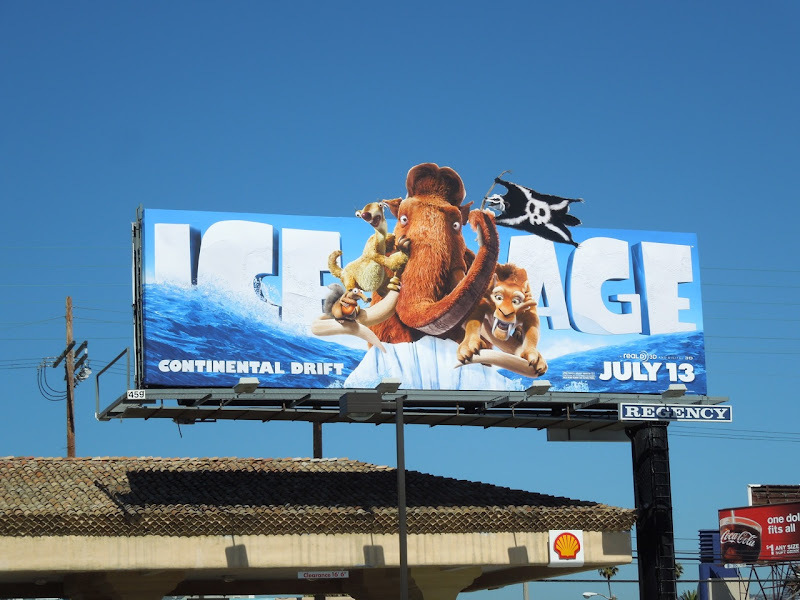 Aside from comic book movie adaptations, there's another staple that Hollywood studios rely on of late and that's the animated feature film sequel. 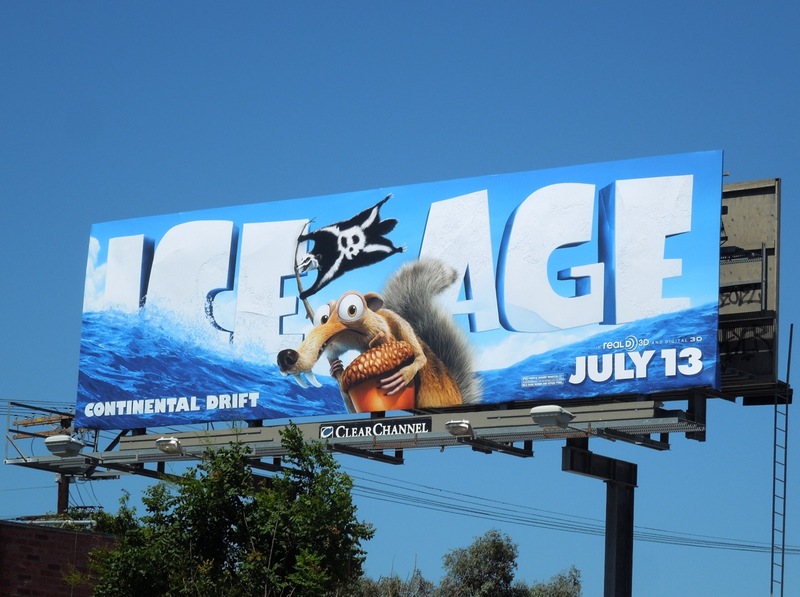 Back for a fourth prehistoric adventure are the computer-animated characters of Ice Age, including that lovable squirrely rascal 'Scrat' and his beloved acorn . These colourful billboards for Ice Age: Continental Drift are a lot of fun, which is fortunate as this is a comedy after all. 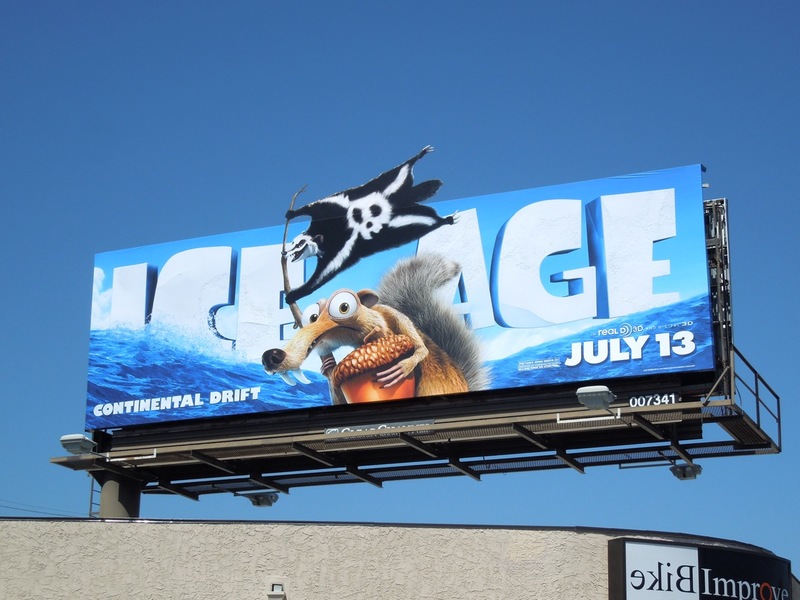 Not only are these lots of versions featuring comical Scrat, but there's also a fantastic special extension creative starring Manny the Woolly Mammoth, Sid the Sloth, Diego the Saber-toothed Cat and even Gupta the Bengali Badger (doubling as the furry pirate flag). 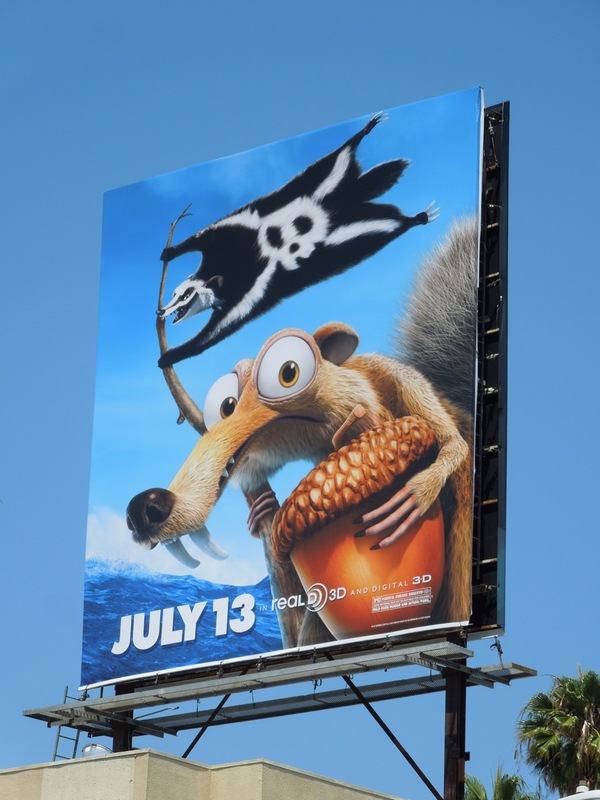 The standard landscape Scrat billboard was first spied along Pico Boulevard on June 5, whilst the special extension flag version was snapped along Santa Monica Boulevard in Westwood a day later. 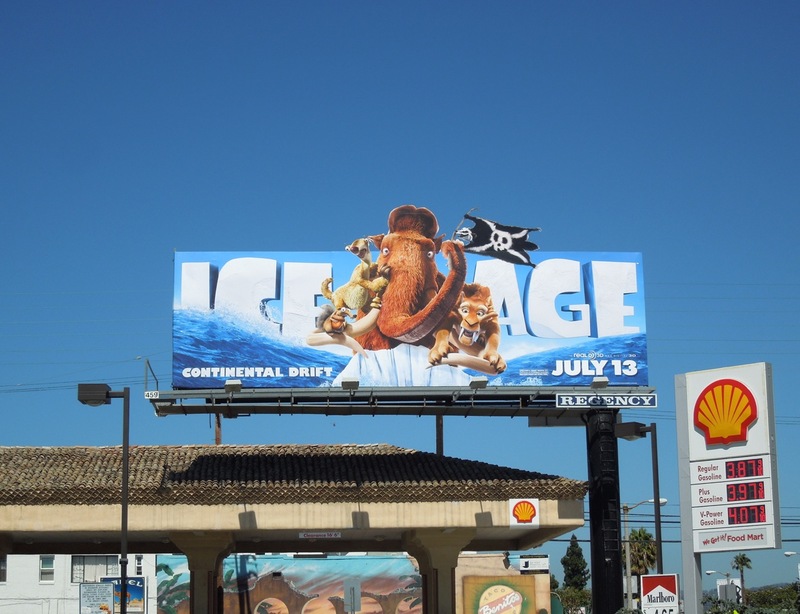 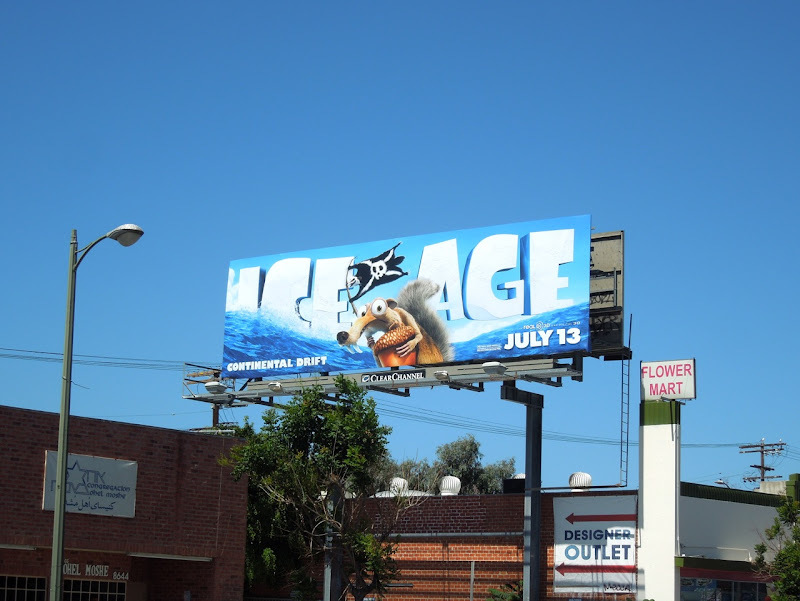 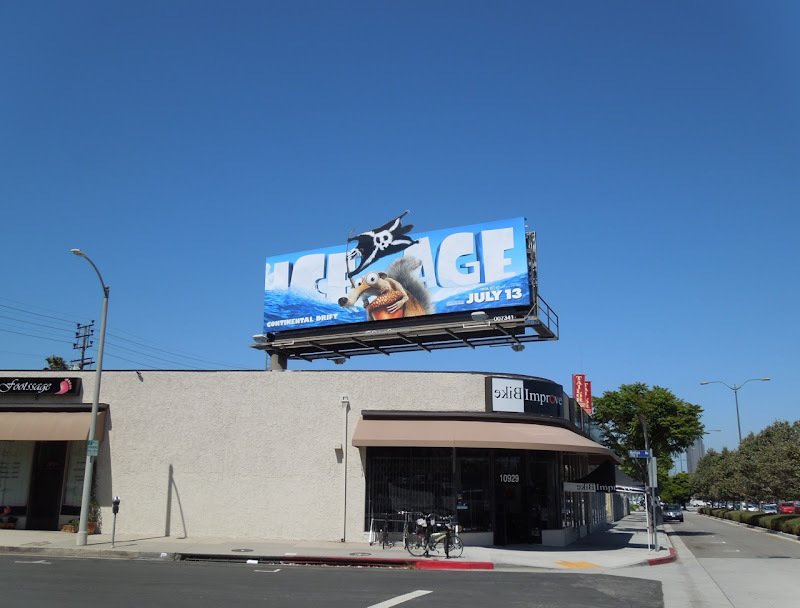 The Ice Age 4 billboard featuring the whole motley crew was photographed along Fairfax Boulevard at Beverly Boulevard on June 24, plus the squarer Scrat version was captured further west along Beverly Boulevard on June 18, 2012. 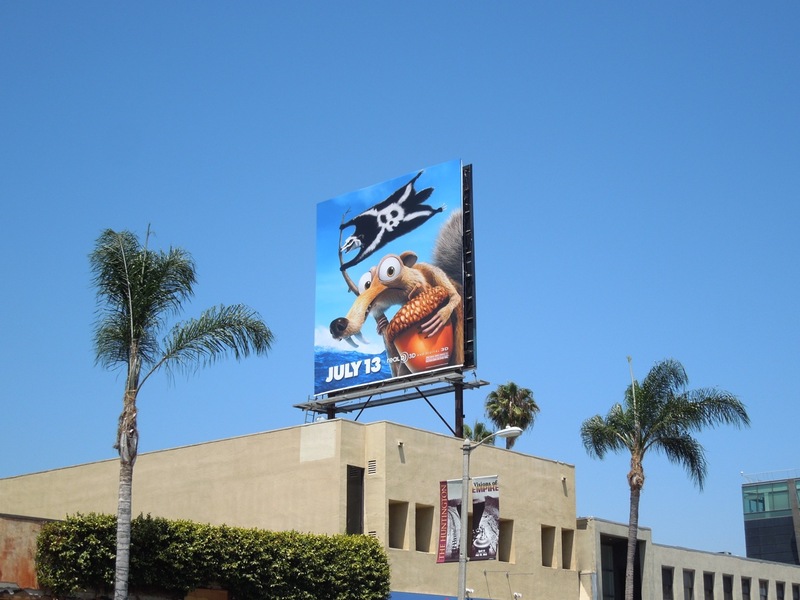 If you're a fan of animated movies, you should also check out these wacky Madagascar 3 movie billboards, hilarious Kung Fu Panda 2 billboards and fun Shrek The Final Chapter ads. 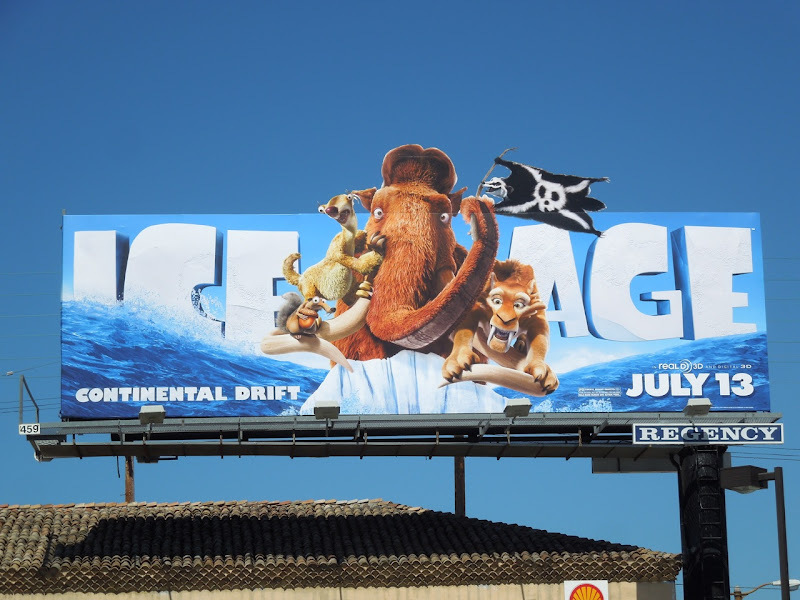 Let's hope that this Continental Drift isn't a cataclysmic end of the world for 20th Century Fox's Ice Age.